Planned communities are becoming increasingly popular in big cities around the country. Living in a neighborhood that has been designed from the ground up for safety and comfort provides a level of security that can’t be found anywhere else. Planned communities like The Grove allow buyers to see exactly what the area around their homes will look like so they can have confidence knowing there will be no surprises in the future. Click here to see homes for sale in The Grove. 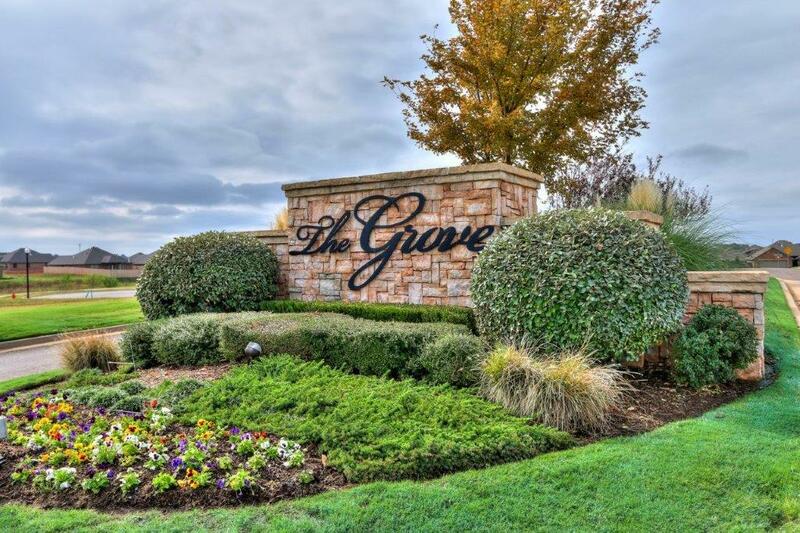 Every neighborhood around Oklahoma City and Edmond has its own benefits, but only The Grove holds the claim of having been built from the ground up and designed specifically to provide the best residentially living possible. Oklahoma City’s first master planned community, The Grove has been carefully crafted to provide a wide variety of home sizes in a neighborhood where you know thought has been put into every decision. The streets and walkways were constructed to optimize traffic and the layout of each section was thorough, with attention focused on making sure each home had its own space and privacy. In other neighborhoods you have to take what you can get, but buying a home in a master planned community allows for a sense of security with the knowledge that your family’s comfort comes first. The Grove has been divided into five sections. Old Stone is in the northwest, The Orchard is next to it in the north, Bloom’s Terrace is in the northeast, The Meadows is in the southeast and Whispering Willows is located in the southwest. The Old Stone region contains the largest homes in The Grove, with houses starting at 2300 square feet and going up to 3500 square feet. These spacious estates are designed with luxury in mind and the location is perfect for families as Old Stone is situated directly between Grove Valley Elementary School and the private splash park and fitness center. The Meadows is home to more modest sized houses, with the square footage ranging between 1400 and 1900 on the brand-new homes constructed in this area. The Grove takes pride in providing options for homeowners, and The Meadows is perfect for first time buyers who are looking to start off with something more affordable. 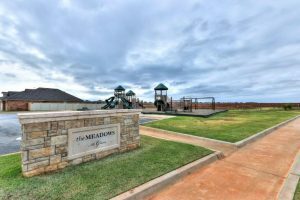 The Meadows is between Treehouse Park and the private pool & clubhouse, so you won’t need to worry about the more affordable price coming at a cost. Sizes in Bloom’s Terrace are between 1400 and 2000 square feet and Whispering Willows is similar with houses ranging between 1400 but going slightly larger to 2300 square feet. The Orchard stretches into the middle of the community and has larger homes in the 1800 to 3000 square footage range. No matter what size of house you’re looking for, you’ll be able to find it in one of The Grove’s districts. The community was designed with convenience and accessibility in mind. To that end, The Grove was constructed with several key amenities that are free to use for every resident as part of their homeowner association fee. One of the biggest perks is having a brand new elementary school constructed as part of the community. Grove Valley Elementary School is within a short walk of every home in The Grove and offers local children education in a state of the art facility on the cutting edge of technology. With a media center in the middle of the school, children will receive constant supervision and parents can rest easy knowing the building was designed with safety in mind. Other facilities in The Grove include a resort style swimming pool, a splash park for children, a gazebo and soccer field, a massive playground, a clubhouse and a private fitness center that is restricted to residents. Families can also spend some time outdoors around a lake, walking through the pedestrian trails or enjoying a picnic at one of the many parks. The planned Village Center will bring in some of the city’s best commercial shops and restaurants to right outside your doorstep. 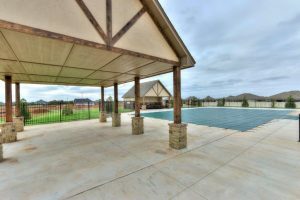 Have you been looking for a new home in the Oklahoma City area but aren’t quite sure which community is right for you and your family? Are you a first-time home buyer who wants guaranteed security in a neighborhood that is still affordable? If you can’t decide what the next step to take should be, contact The Sikes Team. Our experienced team of real estate professionals is intimately familiar with the different communities around Oklahoma City and we can help you find a home that meets all your criteria. If The Grove sounds like the type of place you could see yourself raising a family, contact us today and we can begin showing you available homes so you can see exactly what The Grove has to offer.